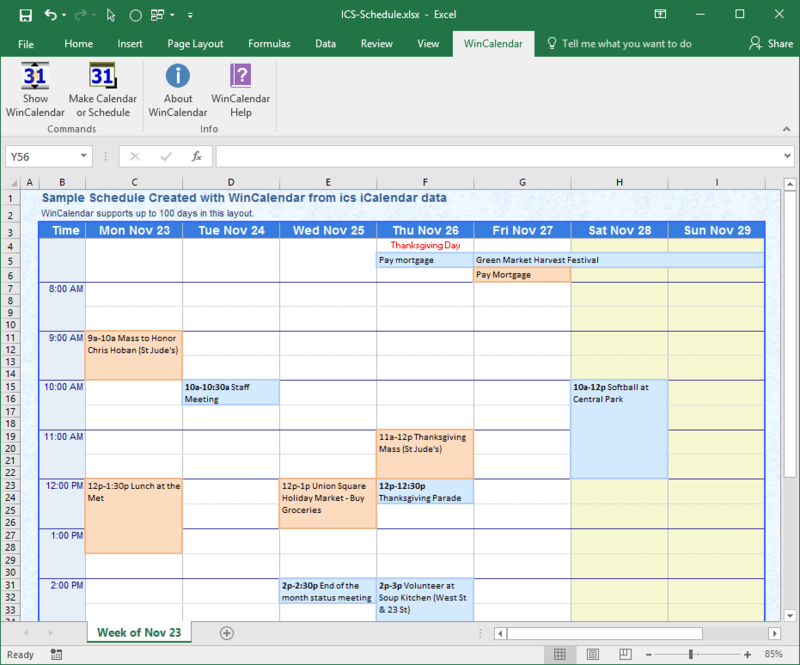 Easily import iCalendar calendar data to both Excel & Word into many customizable layouts. 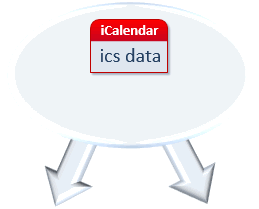 The data can come from any Calendar program that supports exporting iCal data (file type: ics) as http feed or file. 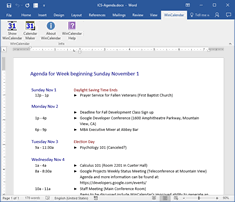 This includes Apple iCalendar, Lotus Notes, Facebook Calendar, Westlaw, TeamSnap iCal, Windows Live Calendar and Microsoft iCal. 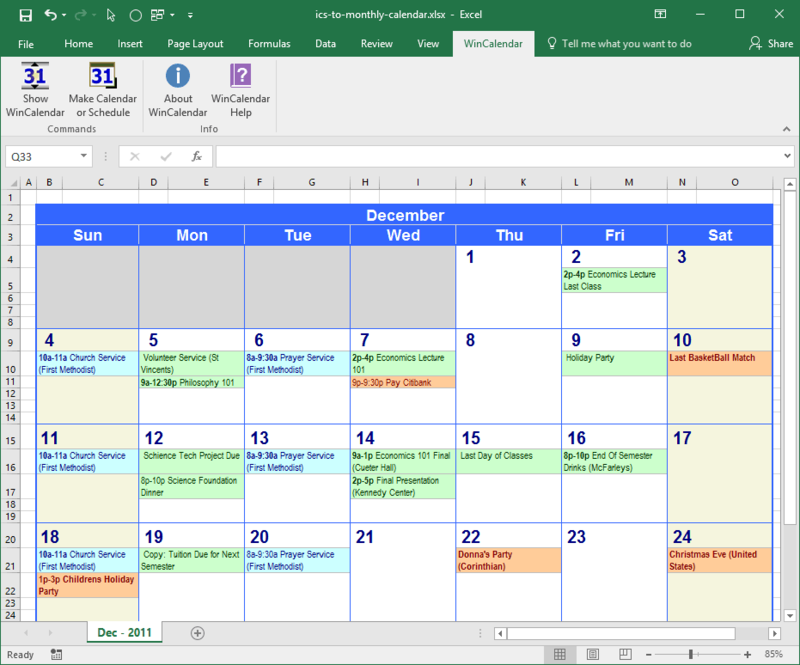 WinCalendar uses iCalendar data to generate calendars in native Microsoft Word and Excel format. 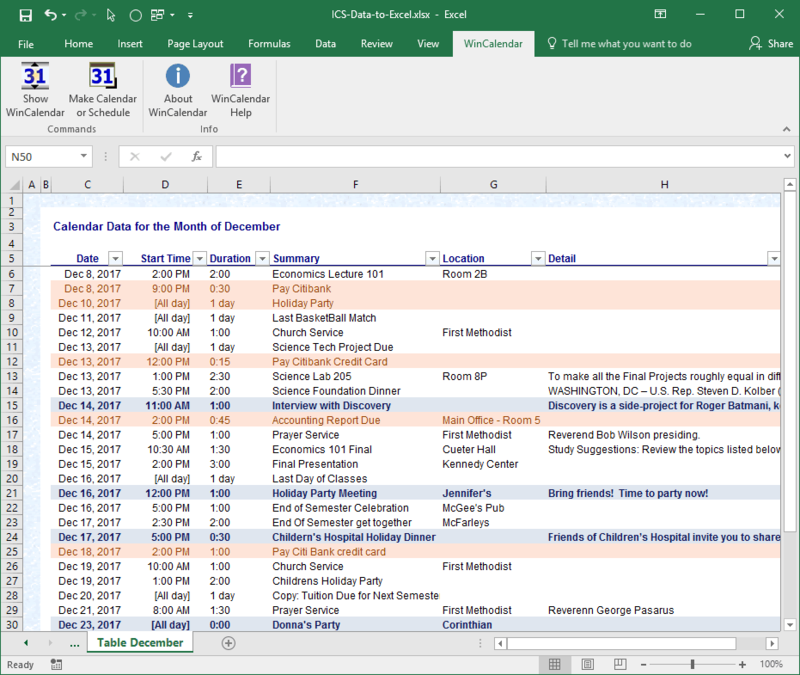 iCalendar data converted to Excel. iCalendar data converted to Month Calendar. 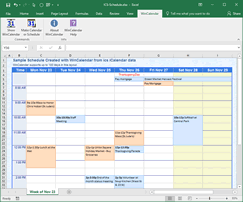 iCalendar data converted to Schedule Calendar. 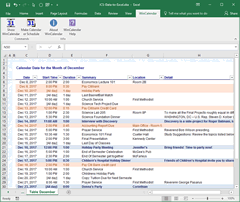 Once in Word or Excel you can further edit, share and print like any Word or Excel file. 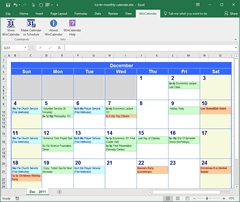 You can also merge ical calendar data with imported data from other sources including: Outlook Calendar, Google Calendar and even from Excel tables or CSV file. ICS data can also be converted to CSV by first using WinCalendar to import as an Excel Table, then simply 'Save As...' type CSV from Excel. 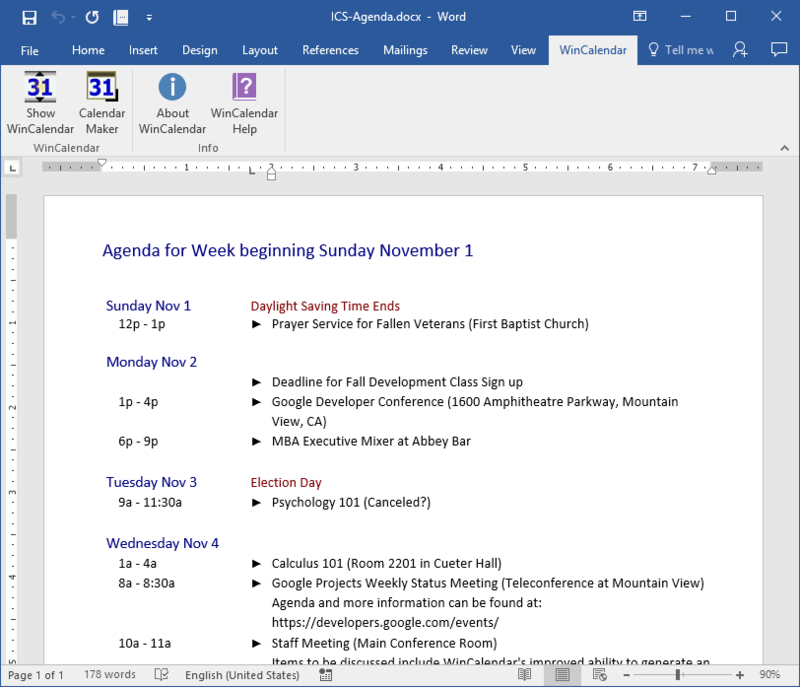 Simimilarly you can convert ics data to PDF by first converting to Word or Excel using WinCalendar. Then 'Save As...' type PDF from Word or Excel. Click here to download WinCalendar or for more info see the links on the left.